Sign up for our free webinar “How to Profit from ICOs” on Tue July 25th. DO NOT send funds from exchanges like Coinbase or from multi-sig wallets. YOU WILL LOSE YOUR FUNDS! Join our official Telegram channel to chat with us. Read our announcement on Bitcointalk.org. Read more recent news on our blog. “I will also buy into the DDF ICO personally […]I don’t want to miss the possibilities this token offers. The fund has an outstanding track record investing in the domain industry. DDF currently holds over 1,350 premium domains such as Swords.com, Audit(s).com, Exhibitions.com and PR.uk. 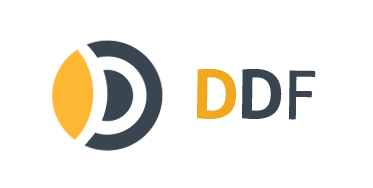 DDF invests not only in well established currencies such as Bitcoin or Ethereum, but also in upcoming crypto currencies and ICOs. Security, risk management and transparency are key differentiating factors in a digital fund. DDF has a proven track record of managing investments in a safe and reliable way. The ICO runs over 30 days or until all tokens have been allocated. Oour goal is to ensure fair and balanced access for small and larger investors, end users, and the overall community. For this reason, and in order not to place undue burden on the Ethereum network, we have decided not to implement an accelerator or discount function for early birds. From the total proceeds, 15% will be used for operations (software development, human resources, legal, marketing), 15% will be stored in a reserve fund of at least 25% BTC, 25% ETH and max. 50% cash, and 70% will go into portfolio. ICO participants send funds to the Ethereum Smart Contract above. The Smart Contract mints DDF tokens instantly and sends them directly to the user’s wallet. Once the ICO has been completed (total duration or maximum tokens issued) the Ethereum funds are transferred to the fund’s wallet.